Here in the northeast, there are seasonal various in the types of weather phenomena encountered. Blizzards in the winter, severe thunderstorms and the occasional tornado in the summer, at least that is the way it normally happens. This year, we have already had two thunderstorms and a stretch of unusually warm weather. My highly advanced personal weather prognostication technique consists of looking at trends, and the trend thus far this year is warmer with more storms. 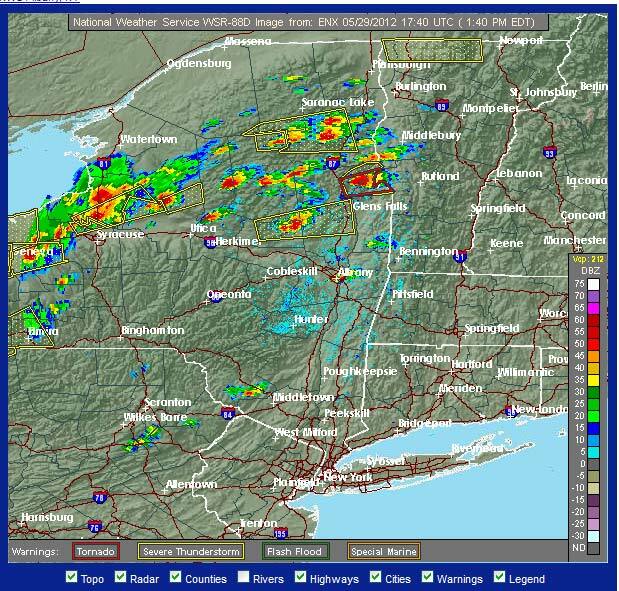 When the weather RADAR looks like this, it is too late. To that end, it is time to go around and check all of the grounding and lightning suppression methods at various transmitter sites and studios. I would rather spend a few minutes extra now than get called out in the middle of the night for an off air emergency related to a lightning strike. 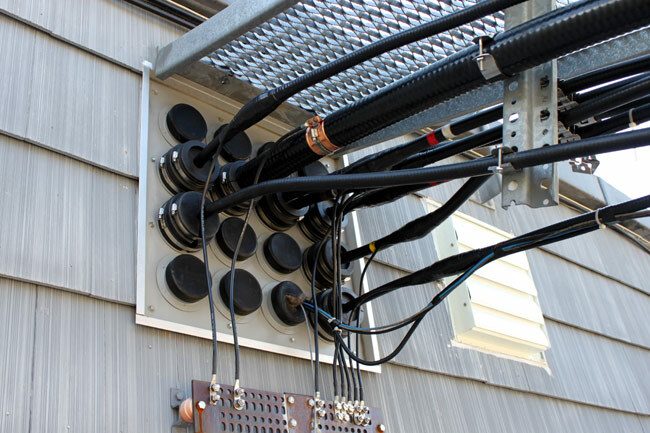 Proper grounding of all equipment, RF cables and electrical service entrances are the minimum standard for transmitter sites. Proper grounding means a common point grounding system connected to one ground potential. To that end, all coaxial cables that enter the building need to have their outer shields bonded to the site grounding system at the base of the tower and the entrance of the building. 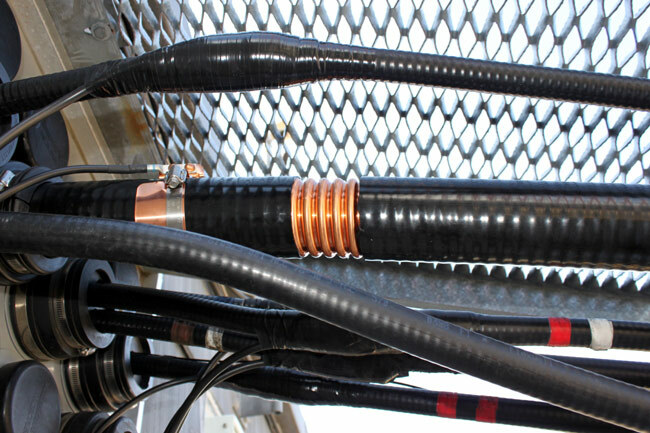 With an FM station where the antenna is mounted at the top of a tall tower, the coaxial cable outer jacket acts as in insulator along the length of the tower. A lightning strike on the tower will induce a very high potential on the outer conductor of an ungrounded transmission line. After entering the building, the lightning surge will find the next path to ground, which will likely be a coax switch or the transmitter cabinet. Neither of those two outcomes is desired. Thus, it was time to ground the transmission lines at WRKI, the FM transmitter we moved last January. Fortunately, Andrew, Cablewave, Dielectric and others make grounding kits for various size coaxial cables. They are very easy to apply and make a solid connection between the outer conductor and the site ground. The kit contains a copper band bonded to a ground wire, stainless steel clamp, water proofing, tape and a pair of bolts. 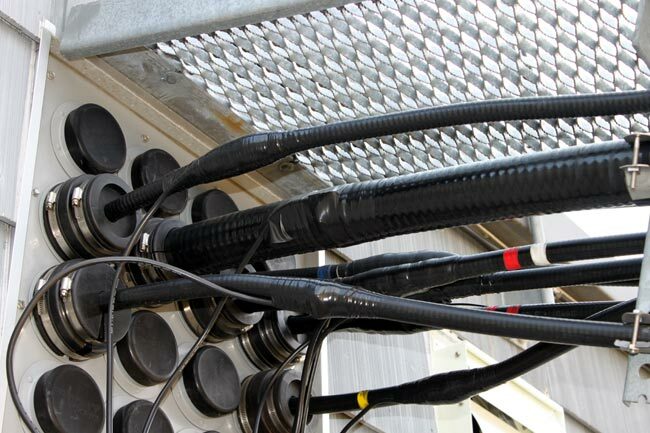 The concept of transmitter site grounding is pretty simple and inexpensive to implement. Thus, it is surprising to me how many transmitter sites, especially older sites, that do not have adequate grounding. That is an accident waiting to happen.